Welcome to Blystone Marine, our parts department carries a huge selection to meet your every need, out-of-date parts to new parts…you can find them here, with a fully stocked Accessory Store full of year-round gifts for that special person/boat in your life! The service department offers a full array of services from winterization to de-winterization and everything in between, with certified master technicians and mechanics on duty six days a week and we service all brands. 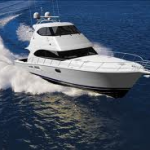 Connect with us today your way for a complete service experience from Blystones Marine. Discover Blystones complete one stop shop for all your boating needs including services of all types. We carry a full line of marine accessories and this year’s catalog offers 3,500 competitively priced name brand products from over 155 major marine manufacturers. You will find our prices extremely competitive with large retailer catalogs. We offer local, experienced personnel to help select the right product for your boat, and offer warranty assistance from all our major manufacturers. Please use desktop browser to view catalog, mobile devices typically do not support adobe flash, Thank You Blystone Marine. Printed Copies of the catalog are available now at our store.